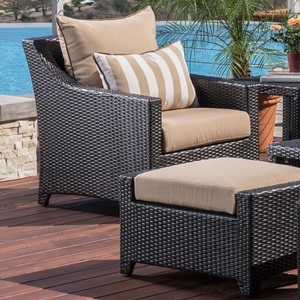 You deserve the type of comfort and elegance that enhances any lifestyle. Featuring our new deluxe wood top coffee table, our Deco Sofa and Coffee Table set does just that. 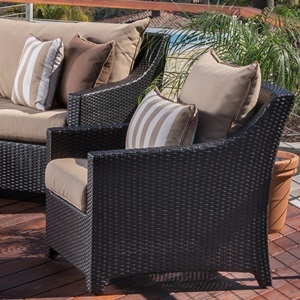 By providing extra plush 3 layer deep seating and sturdy powder-coated aluminum frame construction, it's the perfect enhancement for any outdoor retreat. 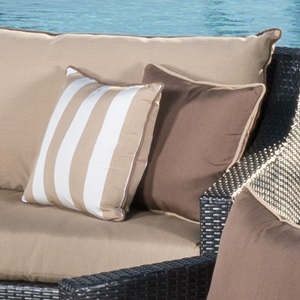 Set includes a two-piece oversized sofa with four coordinated accent pillows and deluxe coffee table.